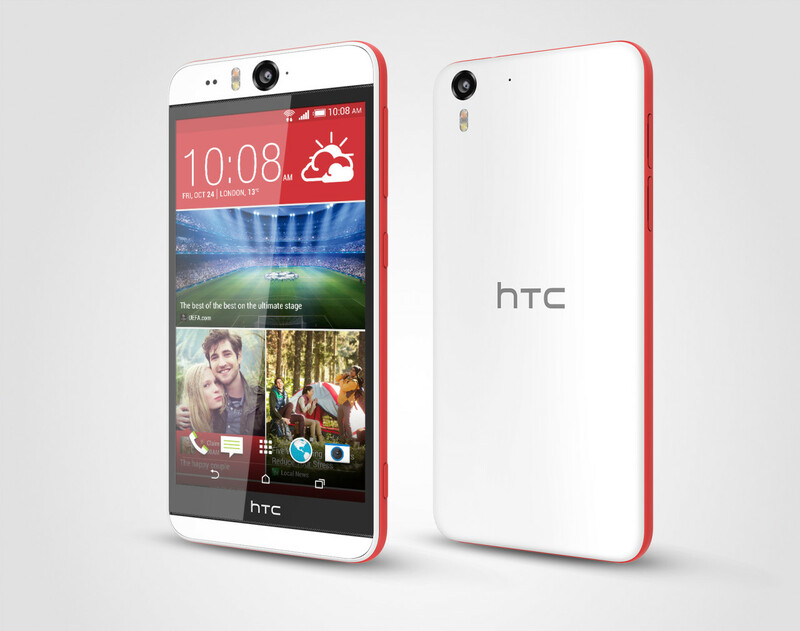 Yesterday, HTC released a new device called HTC Desire Eye. 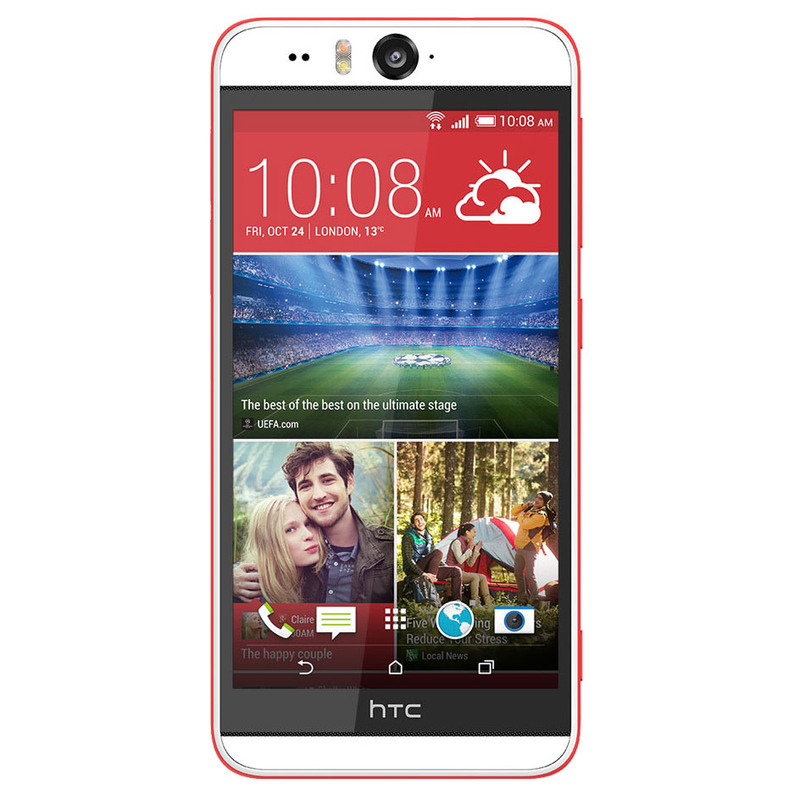 This is the first Smartphone with an HTC Eye 13MP front-facing camera and flash for amazing selfies, the Desire Eye also packs a 13MP rear-camera with flash too. Both cameras can record 1080p@30fps video. The one on the back has an f/2.0 aperture and a 28mm lens, while the one on the front has a wider 20mm lens but a smaller f/2.2 aperture. HTC's trademark BoomSound speakers are harder to see but still on board. 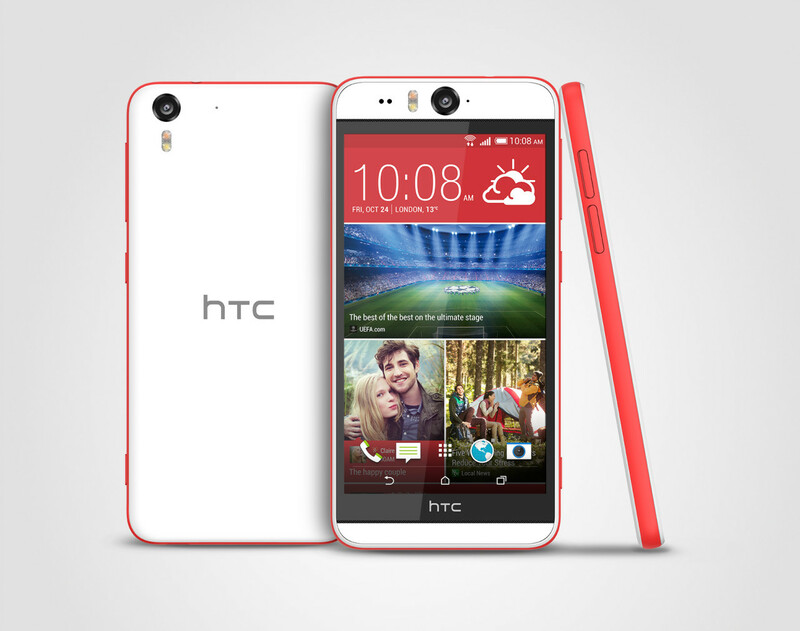 They flank the larger 5.2" screen of the HTC Desire Eye, an LCD with 1080p resolution. Besides selfie camera and screen size, the Eye also trumps the One E8 with an IPX7 rating water resistance up to 1m of water for half an hour. The Desire Eye carries much better specs than most of the Desire family. It's powered by a Snapdragon 801 chipset with 2GB RAM and runs Android 4.4 with the latest Sense software and two camera-centric apps Eye Experience and the new Zoe.